Hello Guys, We share Aamir Khan upcoming movie Thugs of Hindostan full star cast, story plot and release date. This is one of the Most awaiting Bollywood films of 2018. Everyone is eagerly waiting for this film. This is an epic action-adventure film written and directed by Vijay Krishna Acharya. 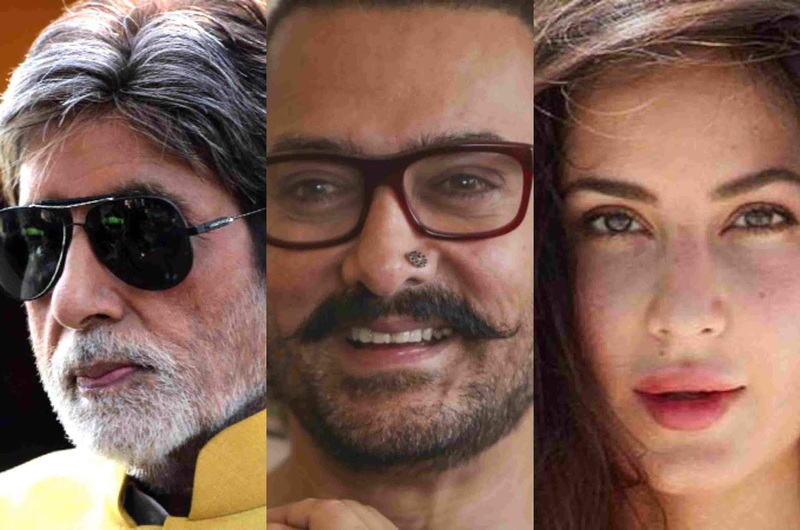 Amitabh Bachchan, Aamir Khan, Katrina Kaif and Fatima Sana Shaikh are playing the main lead role. This is the first time when Amitabh Bachchan and Aamir Khan share a screen. It is set to release during Diwali. Here you can find all the latest information about Thugs of Hindostan Movie like release date, star cast, trailer, and first look. Thugs of Hindostan is based on Philip Meadows Taylor's 1839 novel Confessions of a Thug about a thug called Ameer Ali whose gang murdered travelers for money and valuables. The film, which is set in 1832 in India. The film focus on the father-son bond portrayed on screen by Aamir Khan and Amitabh Bachchan. Amitabh is playing the role of Khudabaksh, a high-ranking thug, and father of Aamir Khan while Aamir Khan is playing the role of Firangi, he is also a famous thug of Pathan origin. The film tells a fictional story set between 1790 and 1805. The first motion poster has released now with superb background music. It is scheduled to release on 7 November 2018 in Hindi, Tamil, Telugu with 3D & IMAX formats during Diwali.